Picture, taken circa 1886. 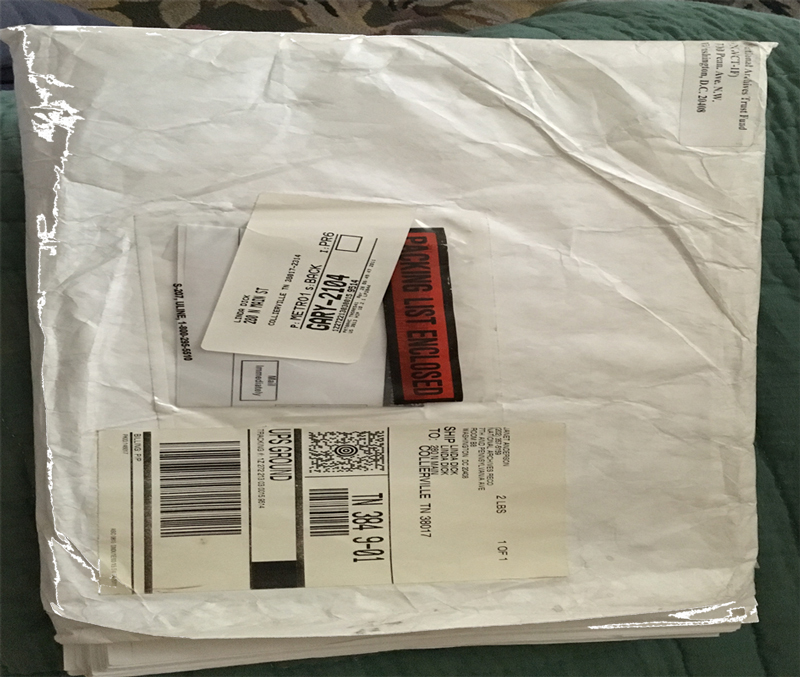 Inset picture is Sara Ellen McGary Case Jack, his wife. 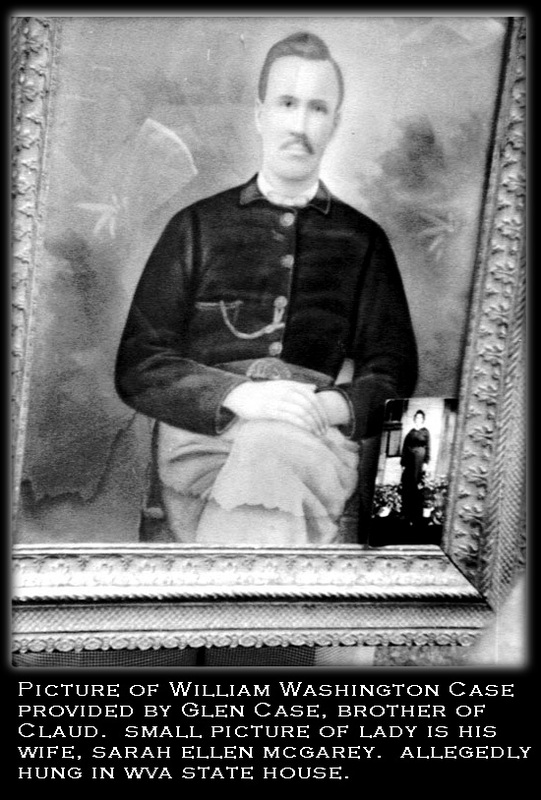 Framed portrait allegedly hung in a WV courthouse at some point.More probably this was taken shortly before his early death at age 43, from Civil War related diseases. 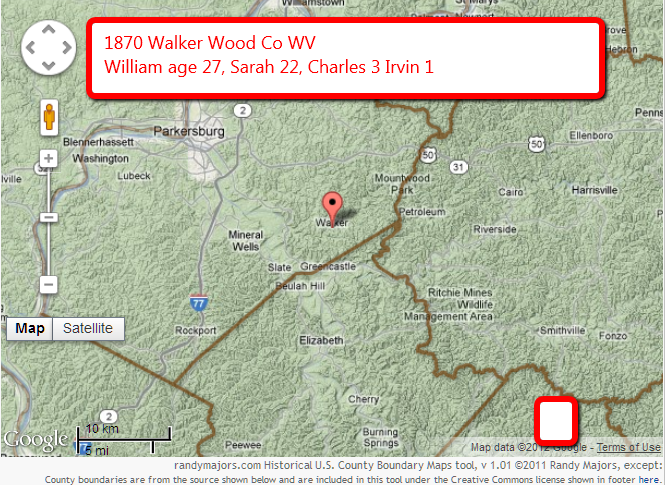 Born in 1843 according to West Virginia Marriage Records, William was born in Marion County, Va (now WV). 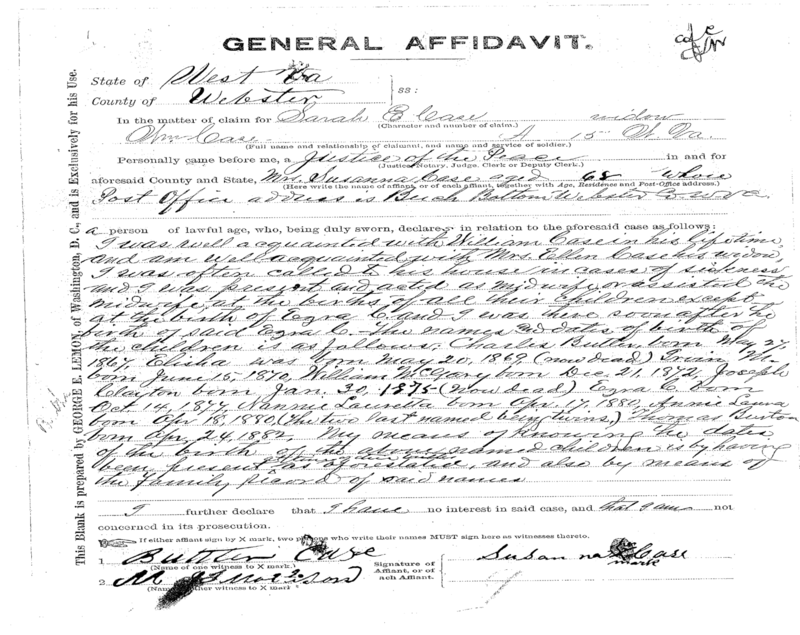 Note that Butler Case and Sussana Clayton Case are shown as parents on the marriage record. He was their oldest son. Father Butler and Mother Sussana's parentage is unproven at this time. It is said that Sussana was English and there is some evidence to that effect, but cannot be proven as yet. 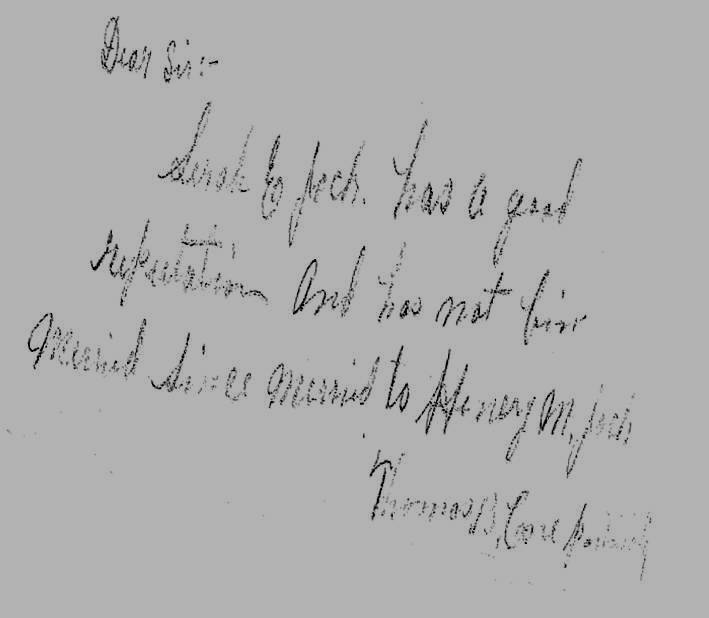 Butler is likely to be related to the Case clan who came from Ireland, pioneered from the east to Pa-Virginia and then on to Ohio and founded Case Western Reserve University. The unproven link is between our Butler and the previous generation. 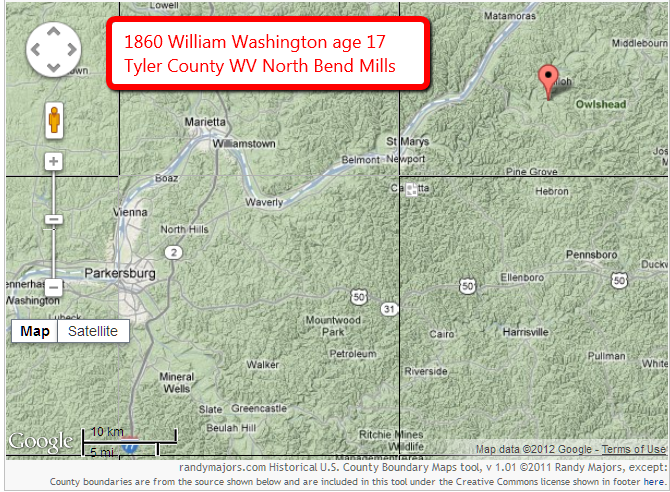 In the sketchy 1820 US Census there is a Butler Case family living in Georges Fayette Co, PA and has one male child under 10. 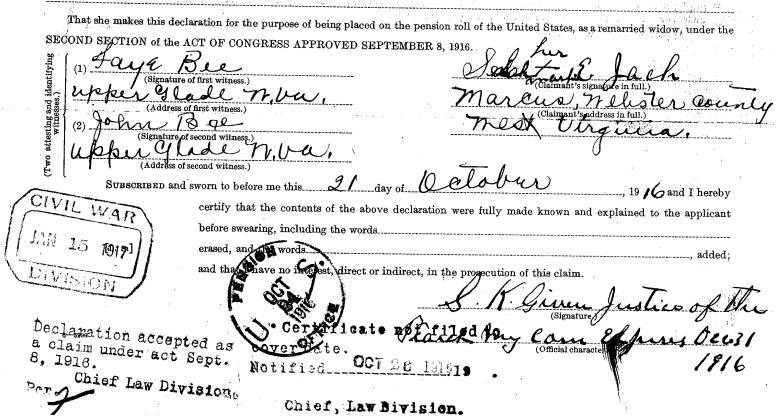 Unproven yet, but possible that this is our Butler, as it has been proven from the National Archive (NARA) file that he was born in 1821. 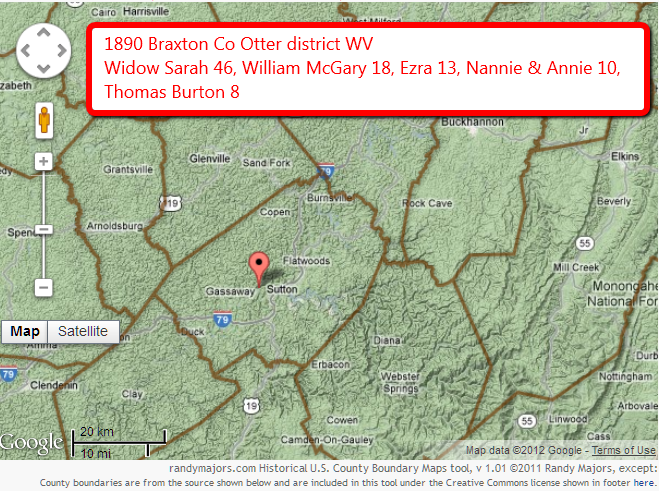 Children of Butler and Sussana were Mary F.1842-1937, William Washington 1843-1887, Elisha Clayton 1845-1871, Thomas Butler 1847-1918, Irven 1850-1904, Infant, Hester Ann 1856-1900/1910, Melvina Jane 1857-1937, James Baty 1859-1938, Walter 1861-1926 and Ida 1864-1933. 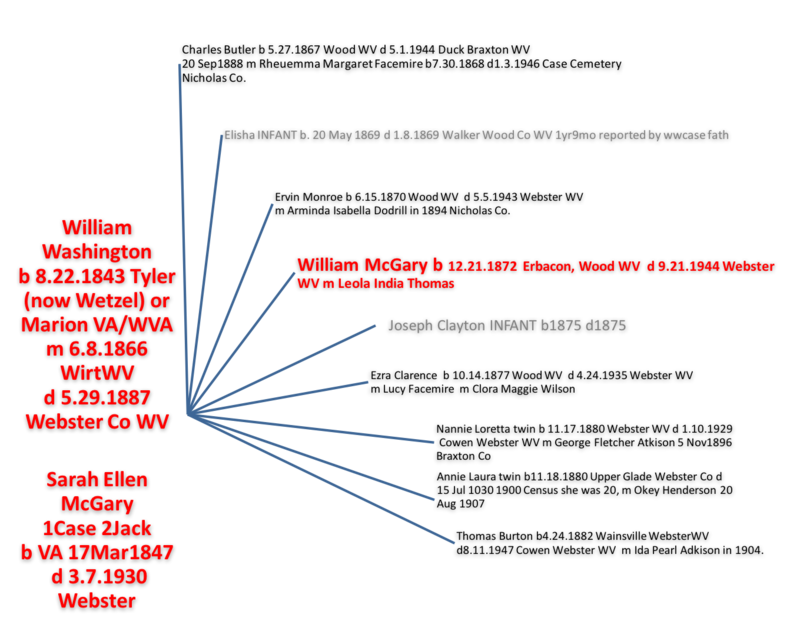 In 1866 William Washington married Sarah Ellen McGary 1843-1930. 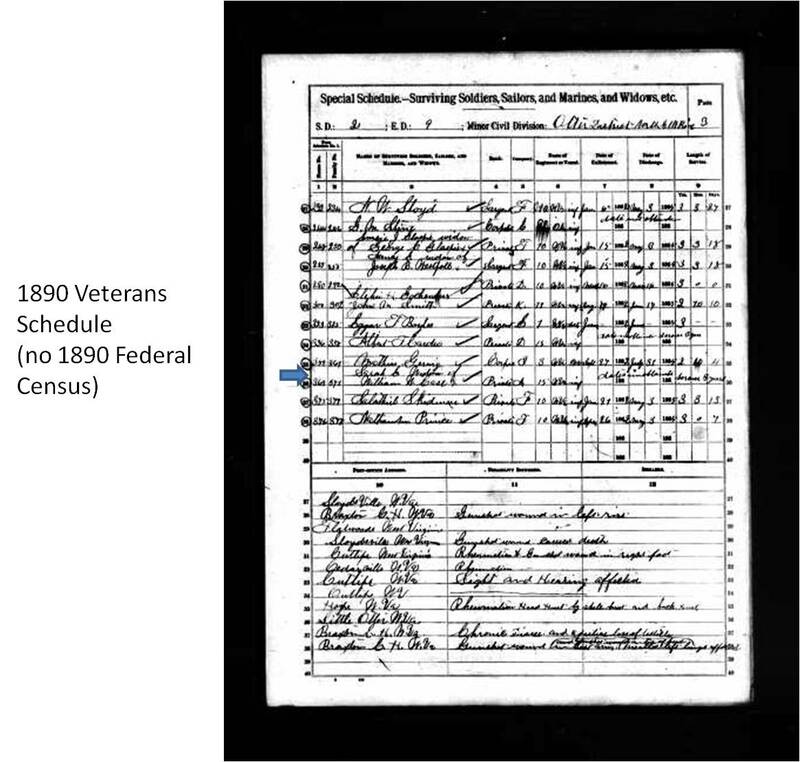 Their children were Charles Butler 1867-1944, Elisha 1869-1869, Ervan Monroe 1870-1943, William McGary 1872-1944, Joseph Clayton 1875-1875, Ezra Clarence 1877-1935, Nannie Loretta 1880-1929, Annie Laurie 1880-1930, Thomas Burton 1882-1947. 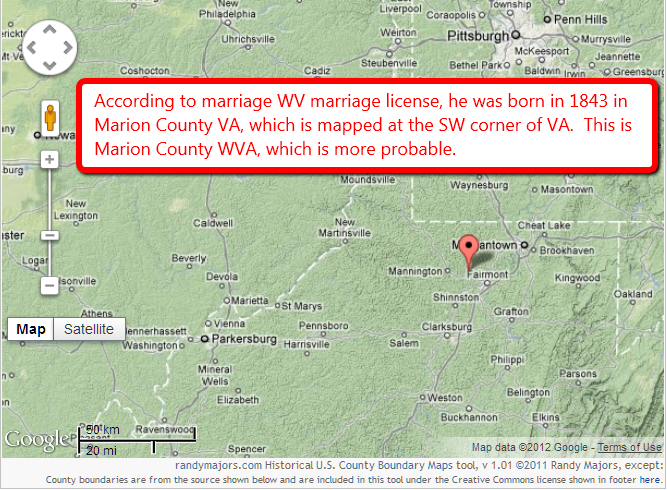 ***Note: In 1863 Virginia and West Virginia became two separate states. All locations are approximate and consideration has been taken to these changes as well as county name and boundary changes. 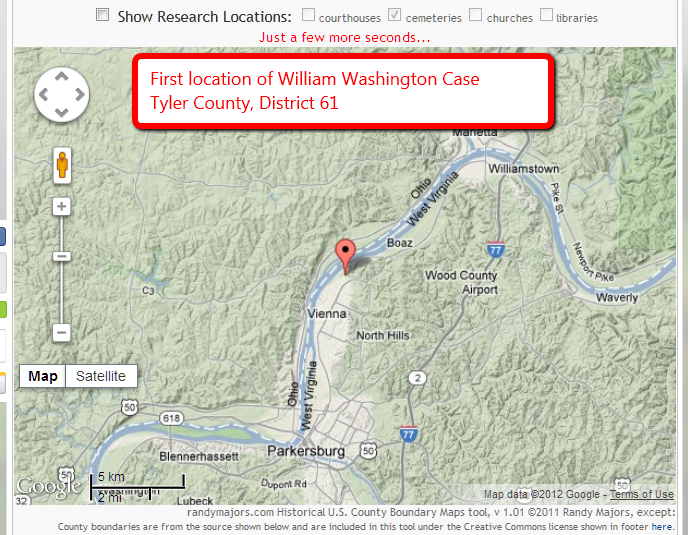 The website randymajors.com was the source of these locations as well as Fold3.com, Ancestry.com, NARA, and numerous free sites. 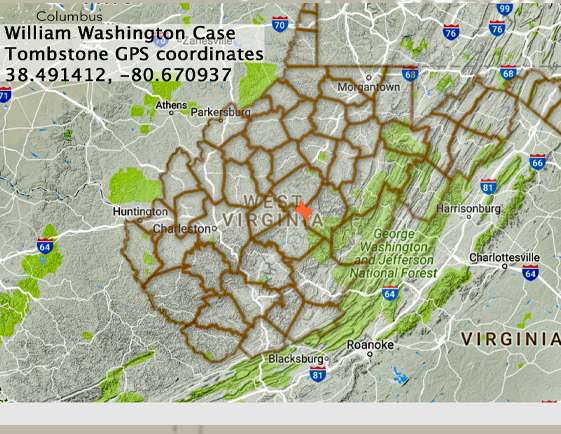 West Virginia has been a great resource. Family of Butler Case 27 & Sussana Clayton Case 28 is first found. 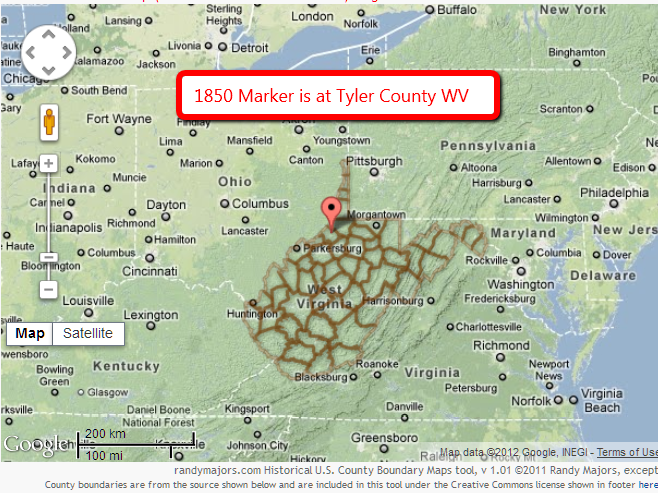 Tyler Co, Virginia, District 61. Our William Washington is 7, Clayton is 4 and Thomas 2. 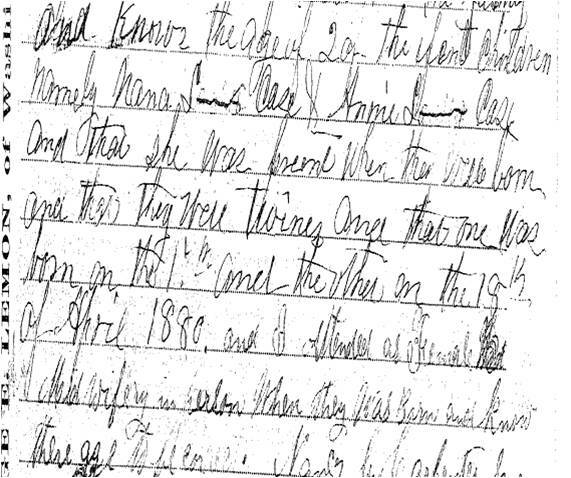 Mary F, age 8 is living with John and Sarah Underwood, a neighboring family or relative. and the State of Ohio, on the other side..
in PA, which is just a few miles away. Thomas 12, Irvin 8, Hester 7, Malvina 3, James 10 mo. 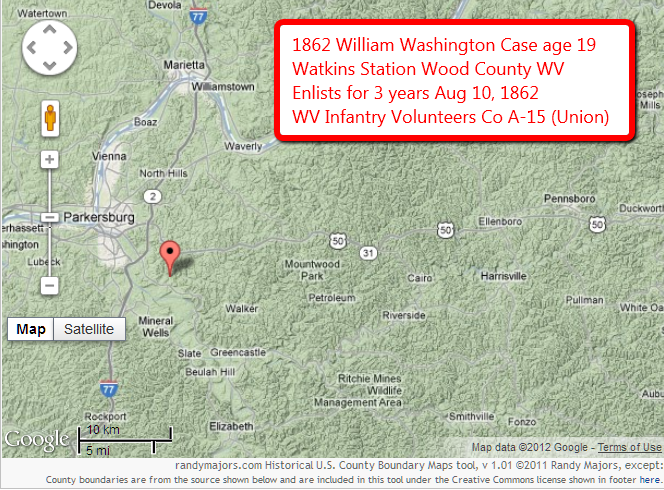 William Washington Case enlists at age 19. 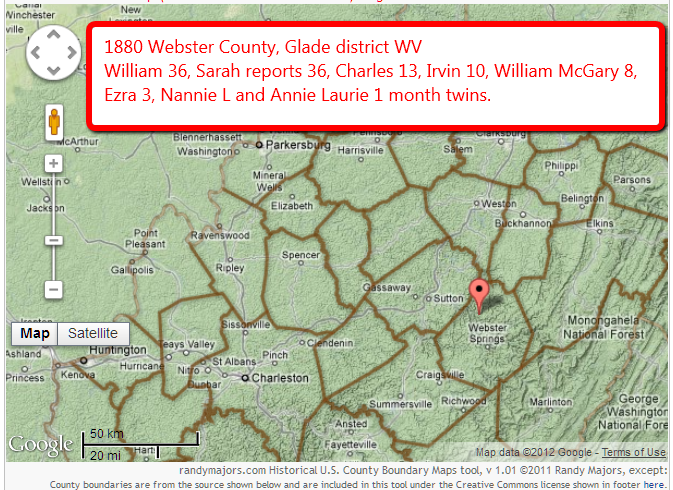 Proves birth in Marion County WV and parent names. twins Nannie L and Annie Laurie 1 month. twins Nannie L and Annie Laurie 10 Thomas Burton 5.
twins Nannie L and Annie Laurie 10, Thomas Burton 8. 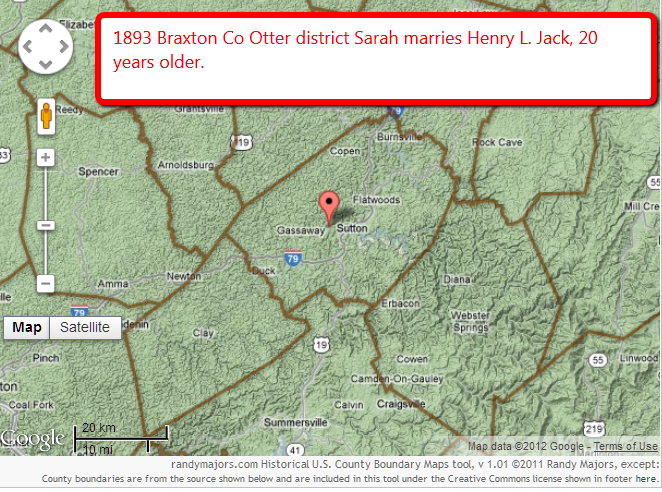 Sarah Ellen McGary Case Jack death. Age 82 ... more or less. Official response to request of Sarah Ellen Case Jack for additional pension funds. Located about three miles outside Cowen on the Erbacon Road, very near the two gas stations that sit within sight of each other. Contains about 170 graves. Dirt road on left going up a very steep hill can be carefully negotiated by car in dry weather if you are adventurous. Cemetery is mowed but many stones have either fallen or leaning badly, at least two stones have crumbled into illegibility. Rows 1-8 are on the left side of cemetery (as viewed from the road), Rows 9-13 are on the right side. 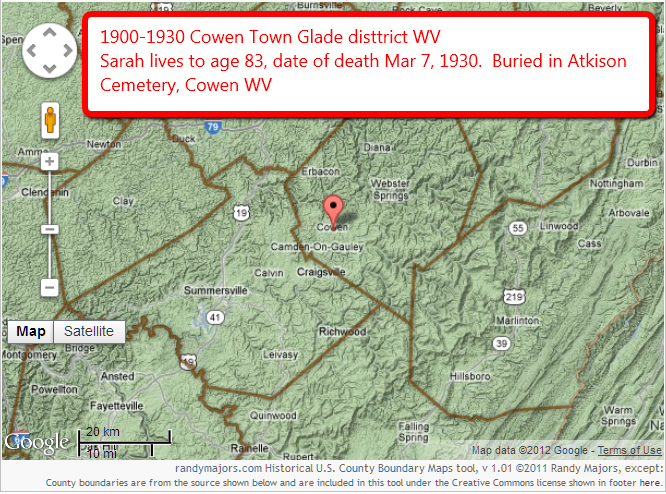 Caretaker is Sherry Holcomb 48 Erbacon Road, Cowen WV, phone 304-226-5779. 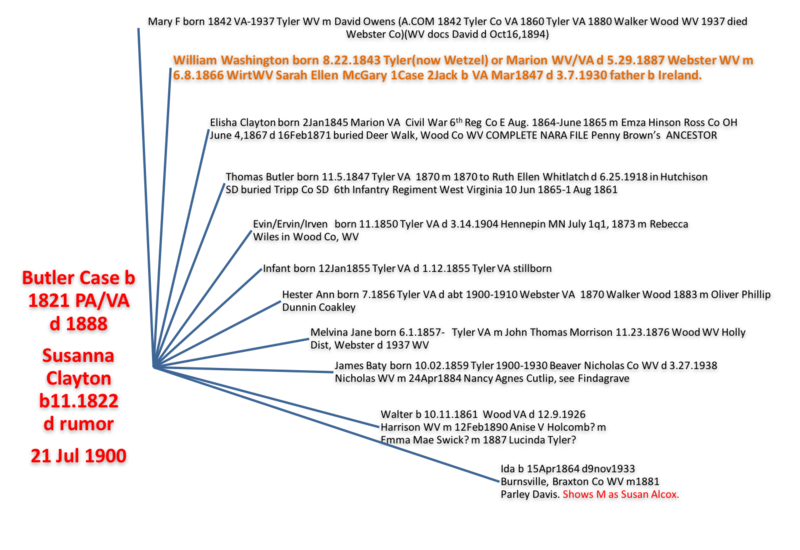 William Washington and Sarah Ellen's children. She was midwife. BIRCH RIVER BAPTIST CEMETERY BIRCH RIVER, NICHOLAS COUNTY, WV DIRECTIONS: From Interstate 79, take the Beckley/Summersville exit. Take US 19 to Birch River. Take State 82 for aproximately ½ mile. On the left is a cinder block building (possibly a school or day care center) the road to the cemetery is on the right. It appears to be someone's driveway. It goes to the top of the mountain and ends at the cemetery. Henry Jack's death, witnessed by John and Faye Bee. coincidentally are related to Jeff and Linda through Paul Thompson>Martha Bee Thompson> Albert Bee>Benjamin Bee>Ezekiel Bee!